For the Love of House | July 20, 2018. About Mi Casa Holiday | CELEBRATING 10 YEARS! There's nothing like a house music boat party, especially in the summer in Chicago! Mi Casa Holiday Chicago kicks off on the S.S. Summer of George boat which is a 100 foot long, two level vessel equipped with a full service bar and a large dance floor. The interior is elegantly understated offering a 360 degree view from mahogany trimmed windows providing guests with a beautiful view of the Chicago Skyline. Act fast and reserve your tickets while they last! There's nothing like a boat party, especially in the birth place of house music...Chicago! The weekend Chicago kicks off on the S.S. Summer of George boat which is a 100 foot long, two level vessel equipped with a full service bar and a large dance floor. TSR is historic staple in Chicago and part of our MiCasa family. Join us as we meet up for amazing music, embrace art and help celebrate TSR's 15th annual sound system block party! DJ's announced soon! FEX is part of our MiCasa Family, and their celebrating 9 amazing years of underground global dance music with the importance of creating spaces where EVERYONE can come together in Chicago. Join us with FEX residents MC Zulu & DJ NewLife + special guests for a night to remember! Suave Sunday host Yvette Magallon is part of our MiCasa family, and has graciously invited us into her weekly summer soiree. The wise owl is a cool little casual indoor/outdoor bar and patio. Julius the Mad Thinker has invited a few of his favorite DJ's to close out the weekend. UP NEXT! - 10Yr Anniversary & Season Finale! 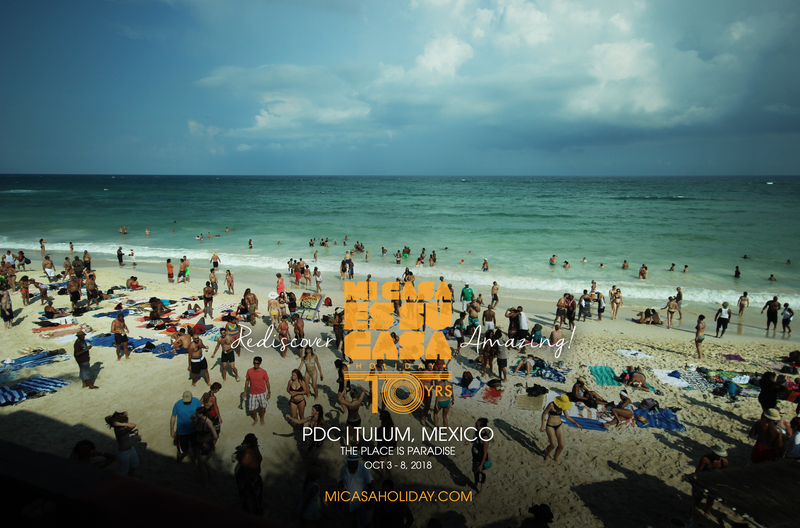 Playa del Carmen/ Tulum, Mexico October 3-8, 2018!